Venture out of the city with trips to Miami (Bayside Marketplace, Vizcaya Museum & Gardens, & more), Miami Beach (Art Deco Historic District, Ocean Drive, & more) and Fairchild Tropical Botanic Garden (in Coral Gables). 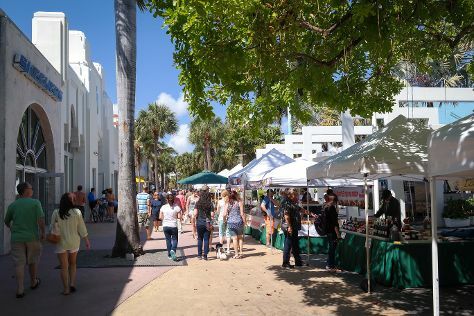 The adventure continues: tour the pleasant surroundings at Fort Lauderdale Beach and get a taste of the local shopping with Aventura Mall. For ratings, reviews, and more tourist information, go to the Fort Lauderdale vacation planner. If you are flying in from Canada, the closest major airports are Fort Lauderdale Hollywood International Airport, Miami International Airport and Palm Beach International Airport. In February, daily temperatures in Fort Lauderdale can reach 29°C, while at night they dip to 20°C. Wrap up your sightseeing on the 18th (Sat) to allow time to travel back home.